Gritty shows no sign of losing momentum, and fans have continued to share their love. Joe’s Steaks won the competition with a sandwich that contains cheese whiz, onions, fries and Cheetos. 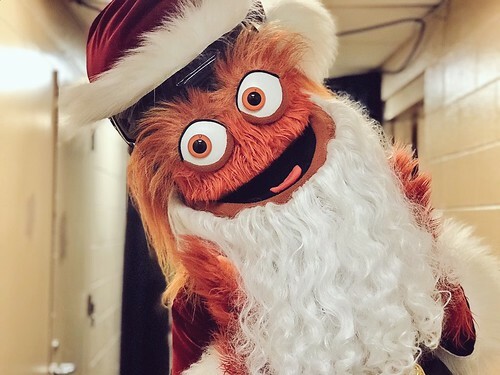 That same night, the Flyers played the New Jersey Devils, and during the intermission, as fans were running around on the ice in bubbles, Gritty delightfully pushed them over. Gritty’s beautiful mug has also graced a lucky couple’s wedding cake. The cake was made by Kia’s Cakes & Café, which is based in Lansdowne, Penn. The baker has also expanded to other Gritty-themed baked treats, including individual cupcakes, with the bodacious beast’s grinning face. Even babies are getting in on the Gritty love. One parent made a Gritty costume for her child in anticipation of Halloween. 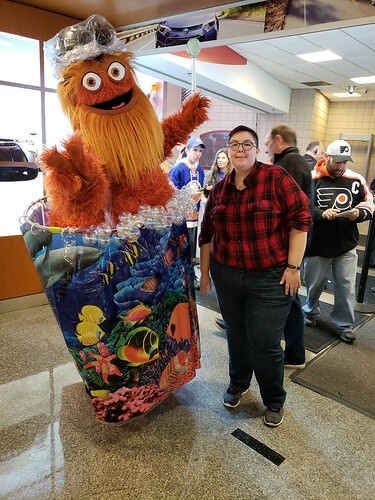 Gritty fans of all ages can get on the costume train, too, if they want. The Philadelphia Inquirer’s reporter Bethany Ao is featured in a video that shows how folks at home can make a simple but funky costume for a very Gritty Halloween. 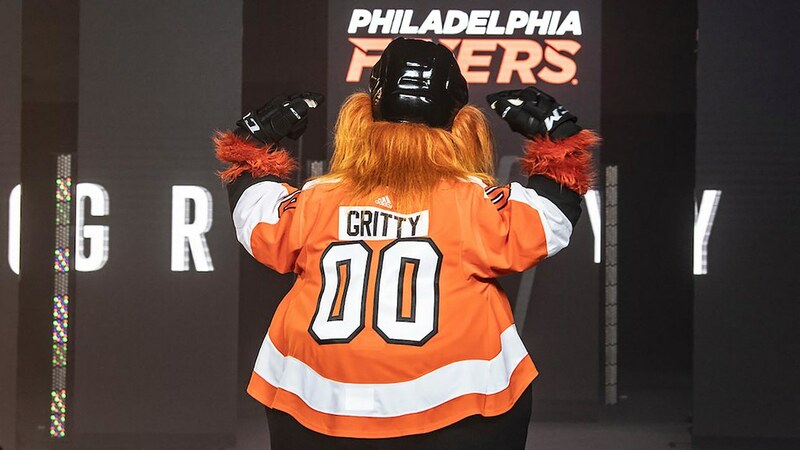 Ao wrote an accompanying article with more detail on becoming the best Gritty one can be. After all, there is no time like the present to get Gritty with it.